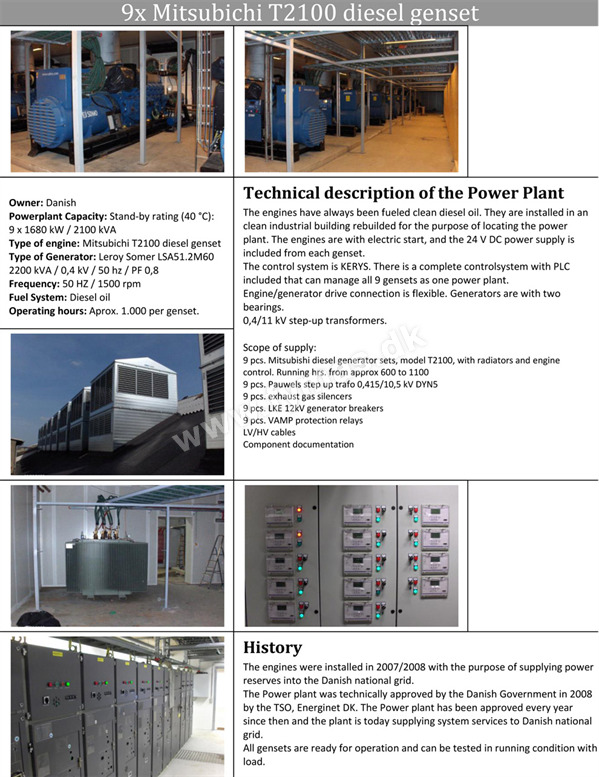 SDMO 9 units x 1680 kW / 2100 kVA - Low hours! For sale as a package or can be split > | Fymas ApS. Comments: Hours only 500 - 850 ! 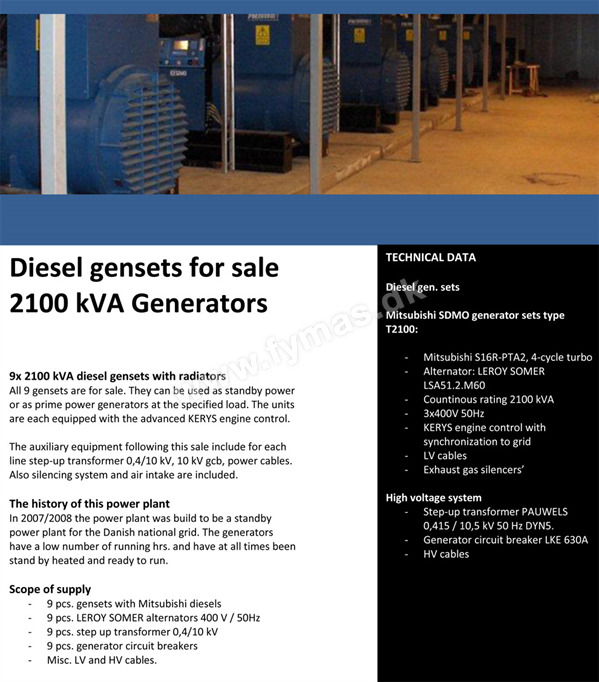 For sale as a package or can be split: 9 Diesel Generator units of TYPE: SDMO T2100 with Power plant Capacity 9 x 1680 kW / 2100 kVA, with radiators and engine control, every built on its own frame. Type of alternators: Leroy Somer 2100 kVA / 0,4 kV / 50 HZ / PF 0,8 and 9 pcs. Pauwels Step Up transformers 0,415/ 10,5 kV. Total electric power effect 15 MW (19 MVA Standby power), 50Hz, 10kV.